Seyyed Mostafa Husseini Tabatabi is a former Twelver Shiite cleric, based in Tehran, Shemiran district. He is the grandson of the famous ‘Ayatollah’ Seyyed Mohammad Tabatabai. 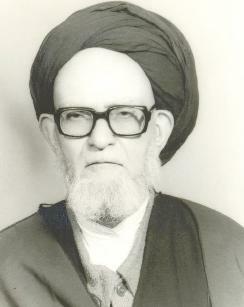 and his grandfather from his mothers side is the famous ‘Ayatollah’ Mirza Ahmad Ashtiyani. The young Mostafa managed to have a huge influence on his mother (a daughter of an ‘Ayatollah’ after all!) and even convince d her to abonden alot of superstitions and deviant Shiite Imamite beliefs that she was brought up with (just he like he himself) all her life. He entered the Shia religious centre (Hawzah) of Qom and by the age of twenty he received Ijazat (permission) of Ijtihad. Nevertheless he refused to wear the Shia clerical clothing and never wore it to this very day (Al-Hamdulillah). 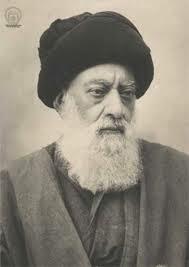 Raised in a religious family he studied Arabic (he mastered Arabic), Fiqh, Usool Al-Fiqh, Hadith, Tafsir, history and Philosophy under his grandfather (‘Ayatollah’ Mohammad Tabatabai). During his early youth (after the Hawza) he started questioning many Shia beliefs, realising that the Shia (Twelver) sect is infested with numerous heresies and superstitions (all in the name of ‘following the Ahl Al-Bayt’), so he decided to combat these Khorafat (superstitions). He particularly stressed the important of Tawheed, friday prayers and other Sunan (plural of Sunnah) that have been almost completely neglected in among twelver Shiites. This is where his real struggle begun, suppression, prosecuation (and even an assasination attempt!) and various accusation (‘Wahhabism’ etc.) were leveled against him and his friends and brothers in belief, who just like him, started questioning Twelver Shiism and its heretical and superstitious nature and actively and fearlessly combated the heresies that Shia ‘Ayatollahs’ were propapating among the masses in the name of ‘Islam of the Ahl Al-Bayt’. Among these friends were were Haidar Ali Qalamdaran (another former Twelver Shiite cleric from Qom who wrote an epic book in refutation of the Shiite Imamite belief, it’s available in Arabic and Persian) and the famous Ayatollah Abal-Fadhl Al-Borqei (whom some Shia due to their ignorance question his existence or others, especially Farsi speakers who know they can’t just wipe away this reality, claim that Al-Borqei was an ignorant, although he had Ijazat from over a few DOZEN ‘Ayatollahs’ and Maraji’ of his time!) started to question (as an ‘Ayatollah’!) his own belief after he encountered the smart and intelligent Mostafa. 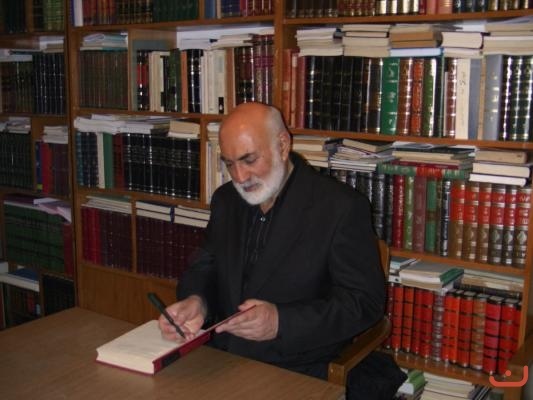 Al-Borqei was impressed by Mostafa Tabatabai and according to Borqei’s own words, Mostafa once entered Al-Borqei’s Mosque in Tehran while Al-Borqei was giving typical Batini-heretical Shia Tafseers. Mostafa Tabatabai had a discussion with Al-Borqei and prove the Shiite Tafseer of Al-Borqei wrong (arguing based on the Arabic languages and other factors. Al-Borqei was so impressed that he acknowledged his fault, and this in return impressed Tabatabai who said that until then he never encountered a Shia scholar who (in public!) let himself be corrected by an ‘commoner’ (obvsiously Tabatabai was not wearing the clerical clothing). His rejection of the Shia belief in the infallibility (‘Isma) of the Imams. His rejection of the Shia (and extreme Sufi) belief of the concept of Hadhir wa Hadhir (Omnipresence of the Imams i.e. they are All-seeing and All-hearing, based on that Shias call upon their Imams for all sorts of needs). His rejection of the Takfir, Tafsiq and Tabdi (declaring someone a Kafir, wretched and an innovator) of the absolute majority of the Prophet’s companions by the Twelver Shia sect and its scholars. His rejection of the negative Shia stance towards the absolute majority of the Prophet’s companions, especially Abu Bakr, Omar and Othman. He always refers to ALL four Caliphs as Khulafa’ Al-Rashideen (the rightly guided Caliphs). Tabatabai defends Abu Bakr, Omar, Othman and Ali and argues that Ali (despite any difference he had with his brothers the Sahaba), he sincerely gave the pledge of allegiance to all Caliphs before him and never believed to be a ‘God-chosen’ Imam. Tabatabai even wrote a book in defense of the Sahaba called: بین النهرین در روزگار خلفای راشدین (“Between the rivers in the days of the Rightly Guided Caliphs”. This book is all about Abu Bakr, Omar, Othman, Ali and Hassan Ibn Ali). His rejection of innovated and heretical forms of Tawassul , Istishfa‘, Istighatha (different forms of (intercession and supplication) etc. such as supplicating directly to saints (Imams, Prophets) as it is common amongst the Twelver Shiites (and other polytheists such as the Catholics, some Sufis etc.). He argues that the Prophet and his Household prayed only to God, directly with no intermediates AND taught others to do so as well (according to Sahih narrations in Shia books). He opposes Shiite and (some extreme) Sufi beliefs alike in regards to this matter. His rejection of the reheprensible Shia innovation called Turbah (a piece of clay Shia put their foreheads on during prayer). He wrote an excellent treatise named “Is prostration on other than soil/earth persmissible?” (آیا سجده بر غیرزمین جایز است؟) proving the Sunni position right, namely that prayer is allowed on everything that is clean and pure (even if it isn’t made of earth) and that the Shiite belief which states that praying on anything which is not made from earth invalids (!) the prayer was never thebelief of the Ahl Al-Bayt, let alone the even stranger and more hideous Shia claim that praying on clay from the soil of Karbala’ is actually the preferred Sunnah. He considers the later position clear-cut misguidance. His rejection of the ‘Ja’fari’ Fiqh (of course he – just like all of Ahl Al-Sunnah) doesn’t believe that the Rafidi Twelcer sect has got anything to do with Ja’far Al-Sadiq), i.e. the Twelver Imamite Fiqh. Normally he never mentions the Twelver Fiqh position when analysing Fiqh issues, he normally only quotes Sunni schools of taught (not even the Zaydis). This is a clear indication that he doesn’t even see any benefit in the Shia Twelver Fiqh (let alone their Aqidah). So Fiqh wise he is closer to the Ahl Al-Sunnah than even the Zaydi Shiites. 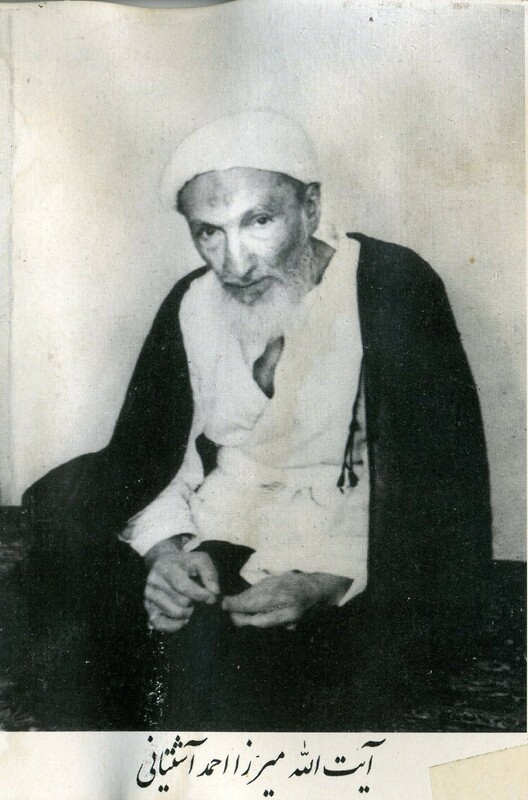 His rejection of the pagan and barbaric Shia self-flagellation rituals and other innovated mourning ceremonies in his treatise “A statement of truth in regards to impermissible mourning rituals” (بیان حقیقت دربارة عزاداریهای نامشروع). His rejection of the heretical Shia belief (in clear-cut opposition to the Qur’an) that friday prayers are not obligatory (some Shia scholars even deem it impermissible until the ’12th’ Imam appears from his everlasting occultation). He always stressed the importance of the friday prayer and how it is neglected amongst Twelver Shiites (even in Tehran, there is only ONE Friday prayer, which is more like a political theatre than a true spiritual friday prayer according to the Sunnah). He sometimes prayed the friday prayer with two people only (in his house, since the regime prohibited him from preaching in Mosques, let alone having an own Mosque. He beliefs in the superiority of Ali Ibn Abi Talib over all companions (nevertheless, as stated before he doesn’t believe in divine appointment of ANY Imam. He says that the maximum that can be proven is that Ali and other Imams claimed Imamate on the basis of their superior knowledge and not divine appointment. He holds some Mu’tazilite (sometimes Asharite) like beliefs in regards to the names and attributes of Allah, a belief mostly found amongst Zaydis, Twelver Shiites and other groups who deviated in this matter. Nevertheless he is not a full blooded Jahmi, one has to understand that this man was raised a Shia most of his life and has been heavily influenced in these theological field. He can be basically described as a Tafdhili Shiite (similar to Ahmad Al-Katib), a Sunni in general sense, without a shred of doubt. All these information can easily be extracted from his lectures (all in Persian) and articles in books. Tabatabai also used to be a friend of the current Revolutionary Leader Ali Khamenei (before the Revolution, Khamenei was much more open minded, he even translated books of Sayyid Qutb!). Khamenei was even about to publish one of Tabatabai’s books. This is because Tabatabai – who is extremely intelligent – is one of the academically strongest persons when it comes to refuting and debunking the polemics of Iranian Anti-Islam polemicists. In fact, Tabatabai is the first and only Iranian who refuted the manifesto of Ali Dashti. Ali Dashti was ironically a Shia student at various Hawza’s in Iran and Iraq who then apostated and wrote a book named “23 Years, A Study of Prophetic Career of Muhammad“. To this very day, this book is used by Iranian extreme nationalist and Islam ciritiques to question Islam. 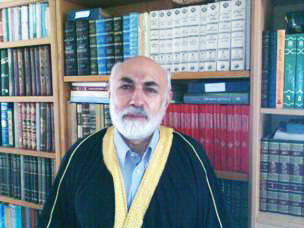 Mostafa Tabatabi who wrote a few volume refutation of Ali Dashti book. His refutation is so strong and well written that his own enemy who put him in the big prison called Iran (the Iranian regime) published his book (you can download it here). We ask Allah to preserve Sayyid Mostafa Husseini Tabatabai who are a means for the awakening of many Iranian Shias who are fed up of the heresies of the Twelver sect and their empy claim of ‘following and loving the Prophet’s household’. ← Iranian Shia intellectual questions the core of Shiism and the ‘Ayatollahs’ go nuts! Sorry but you are not persian sunni. You are influenced by saudi scholars. Huh?! Are you the hidden Shia Imam?! Do you possess the knowledge of the unseen or how did you came to that conclusion that I am not a Sunni?! Also, what is wrong to be influenced by Saudi Sunni scholars (although a scholar like Tabatabai never was, neither did he live in Saudi Arabia nor did he visit any non-existing Saudi bookshop in Iran). Why are you promoting this deviant? As you said, he holds Zaydi, Mu’tazilite, Shi’ite, Ashari beliefs. 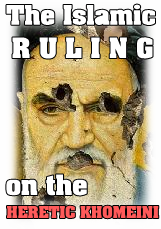 Because he is destroying 12er Shiism. Besides, we never called him a deviant, he is a Muslim with some disputable views, no one is infallible. Again we are not Wahhabis, stop pretending that you are a Sunni you vile Rafidhi. If you are not wahhabi or salafi which mazhab do you follow? Sunnis follow one of the mazhabs while salafis say they follow the best proof. So show you are not wahhabi! I’m Shafi’i. Most Persian Sunnis are Shafi’i (except Khorassani Persians, they are Hanafis). 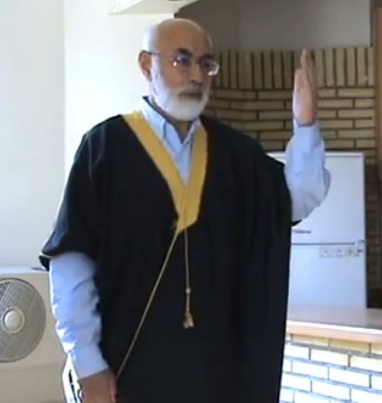 I was very honored to see this Great scientist in Iran on two occasions and benefit from his lectures. I think he is a great asset to Islam and mulims all over the world. A very intelligent and well informed personality who is not been given the credit he truly deserves. I am now living in U.K. and miss his lectures although I follow him on social media. May Almighty God bless him and rewards his work. im iranian and very well in the english language so i can help in translating mr tabatabayis articles. message me back if you would like my help. I will e-mail you Inshaallah. My name is Mohammad Ahmad Mian, and I am a Muslim Canadian of Pakistani descent. For the majority of my life, I have had a great love for Persian history and the Persian people. Despite being a Sunni, I respected the beliefs of the Twelvers of Iran, without knowing the true intentions of their religion. 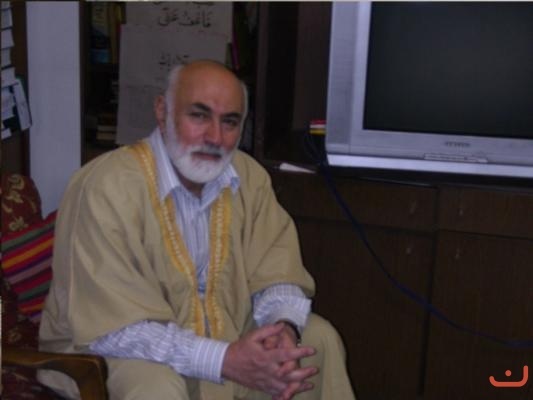 I knew that the Rawafidh cursed the first three Caliphs (May god be pleased with them), however, I did not believe that the Twelvers were so deviant in their beliefs from Sunni Islam until I met an Iranian Sunni brother in my native city of Markham, Ontario, Canada. The brother made me realize the hardship of the Sunni Iranians were brutally oppressed by the regime (He was an ethnic Persian Sunni, most probably from Larestan). Anyway, I hope for you to get back to my inquiry, which is, do you have the current accurate demography of the Sunni demography in Iran? Also, Allah will reward brother Tabatabai for his hard efforts to preserve the deen of Rasoulalah in this pagan country. Fun Fact: Iranians were Sunni before the rise of that wretched Shah Ismail Safavid. He forcefully converted the Sunnis to this heretical Rawafidh sect. Adding on to my last comment, I am technically a follower of the Hanafi Madhab of Sunni Islam, but my family also follows certain elements of the other three Madhabs and Salafism, as we condemn the worship of the graves of martyrs. An interesting fact about my ancestry is that my great-grandmother always contended that we had a direct line of descent from Saadi Shirazi, as there is historical evidence for his travels to different parts of India, Persia, the Arabia peninsula, and Egypt during the Mongol invasions. Also, an old family tree in my native country has Saadi as our distant ancestor, and the family tree also shows a clear line of descent from the 12th century Islamic poet, philanthropist, and polymath. Furthermore brothers, if you want me to write articles on important Sunni Persian figures for you, I can do so. Figures such as Omar Khayyam, Radake, Al-Ghazali, Hafez, Saadi Shirazi etc. Just email me, as I really want to help you out.